Jon Lovitz, the comic star behind dozens of memorable characters, got early inspiration in Orange County. 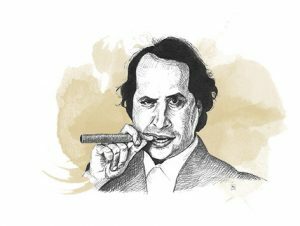 An Evening with Jon Lovitz” at the Irvine Barclay Theatre this month is a homecoming for the comedian. The actor and former “Saturday Night Live” star was an Anteater, Class of ’79, who based his signature “SNL” character, the pompous Master Thespian, on a former drama professor at UC Irvine’s Claire Trevor School of the Arts. Here are a few fun facts about the unconventional performer. In 2015, Rolling Stone ranked him in the top 20 of “SNL” cast members. He acted in a hit Broadway play by Neil Simon. “The Dinner Party,” a comedy about love, marriage, and divorce set in Paris, starred John Ritter and Henry Winkler when it debuted in 1999 at the Mark Taper Forum. It became a hit when it opened on Broadway the following year. Lovitz joined the cast in 2001, replacing Winkler, along with Larry Miller, who took over for Ritter. Next article22 of The Best Escape Rooms in O.C.